Traveling with friends or family members can be an incredibly rewarding experience, but at times it is also frustrating. It can be hard to match schedules, agree on what to see and what to skip, and plan a trip that meets everyone’s unique needs. While I still love traveling with others, I’ve started going on more trips alone. I can stay where I want, eat what I want, set my own schedule, and go see what I’m most excited about without worrying about the travel preferences of others. Although traveling alone can be fun, it does come with some increased risk. You can stay safe and still have fun by choosing your destination wisely, making smart decisions, and packing the right gear. We researched the safest popular sightseeing destinations to help you make the most of your next solo trip while also staying safe. We’ve also included tips for staying safe while traveling solo and suggestions for what to pack when you’re traveling alone. Visiting big cities alone can be a little intimidating, but larger cities also have some of the nation’s coolest attractions. When deciding which cities to recommend for solo travelers, we looked at violent crime rates, public transportation, cell phone coverage, and the number of law enforcement employees in the city. We should note that most big cities are going to have a higher violent crime rate than the national average (which was 372.6 violent crimes per 100,000 inhabitants in 2015)—but since the national average factors in very small cities with extremely low crime rates, it wouldn’t really be fair to judge large cities against the entire country. Plus, while small cities can be interesting, they don’t have the iconic landmarks and cultural attractions that a large city can offer. We’ll evaluate these large cities in relation to other large cities for a more reasonable comparison. Although safety was the primary focus, we also looked at cities to see what kind of attractions they had to offer a solo traveler. All the cities we recommend have a good selection of museums, parks, markets, and other points of interest that would be fun to explore alone. New York is not just an iconic American city, it’s one of the most famous cities in the world. It is a great city to visit solo because there is so much to do and see that you’ll never get bored being there alone. New York ranked fifth in a list of cities with the best public transportation in the country. New York has the highest number of law enforcement employees per capita for a city with over one million residents. All four major wireless carriers (Verizon, AT&T, Sprint, and T-Mobile) have relatively good coverage throughout New York. 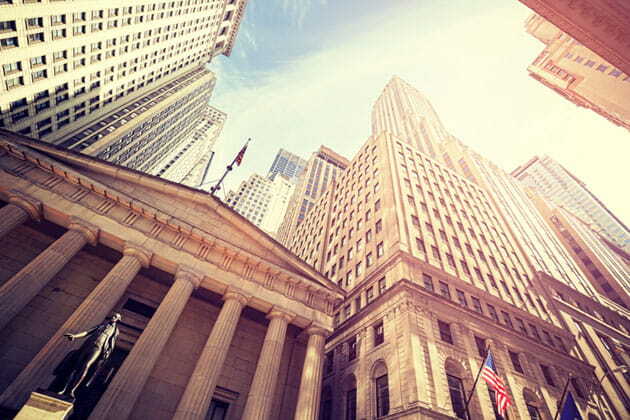 In addition to having a relatively low crime rate in comparison to other cities, New York has also seen drastic improvements in recent years, and the city had a record-low crime rate in 2016. New York City has at least 2,693 cultural and recreational venues, which is one for every 3,096 residents. The city also has some of the most iconic attractions in the world, including the Metropolitan Museum of Art and Central Park. You’ll never run out of things to do in New York, but we suggest hitting some of the city’s most popular sights and focusing on public places, where you’ll feel safer while you’re alone. This famous museum is the perfect place to wander alone for hours without ever getting bored. The museum stays open late on Fridays and Saturdays, which would be a great time to visit if you’d like to see the exhibits when it is less busy. A visit to New York wouldn’t be complete without seeing Central Park—rent a bike or explore on foot and enjoy the gardens, historical buildings, classic bridges, and more. One unique garden in the park is the Shakespeare Garden, which was named in honor of the famous playwright. You can enjoy the calm scenery while reading the plaques with quotes from his plays. Grand Central Station is a great spot for a solo traveler to wander through markets; shop for clothes, gadgets, and cosmetics; or sit back and observe the people coming and going. 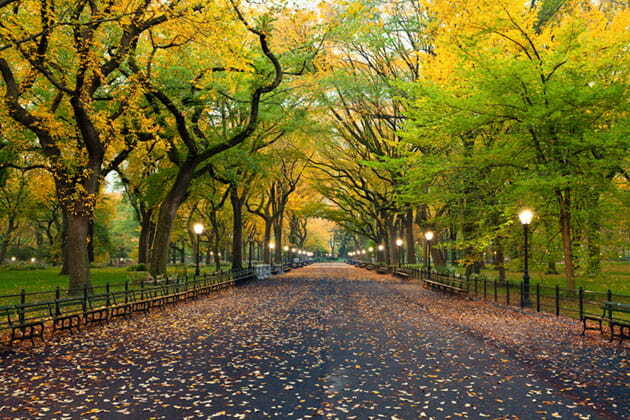 New York can be very hot and humid in the summer and can get extreme snowstorms during the winter, so we’d suggest visiting in the spring or fall. San Diego is known for gorgeous beaches, delicious tacos, and a laid-back atmosphere. It is an excellent place to visit for solo travelers who are looking for a place that will be relaxing but not boring. The climate in San Diego is pretty temperate all year round, which makes extreme weather and temperatures less of a concern. You can get good cell coverage from all four major wireless carriers throughout most of San Diego. Balboa Park is home to the famous San Diego Zoo, but it also has art galleries, science museums, gardens, greenhouses, and cafés. It is a great place to spend a day outside by yourself wandering around at your own pace. San Diego has lots of beaches, but if you want to sit and watch the waves or read a book, you might prefer Coronado over La Jolla. (La Jolla is pretty, but it has lots of rocks and wind and not many places to lay out and relax.) 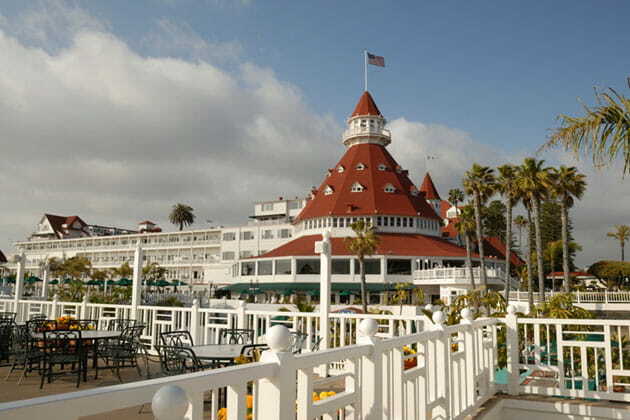 As a bonus, you’ll also get to see the Del Coronado hotel, which is featured in Marilyn Monroe’s famous film Some Like It Hot. Visit Old Town San Diego to see historic buildings, enjoy live music, walk through local markets, and eat tacos at nearby restaurants. 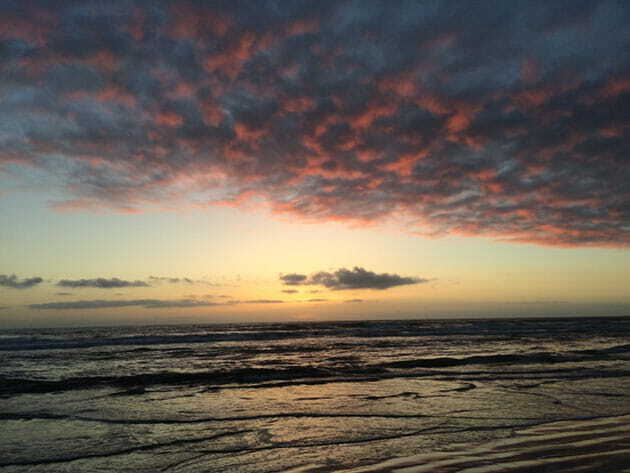 San Diego has nice weather year-round, so you should be able to visit at almost any time. If you’re planning on spending a lot of time outside, you may want to avoid visiting in the winter since it is a little chillier. 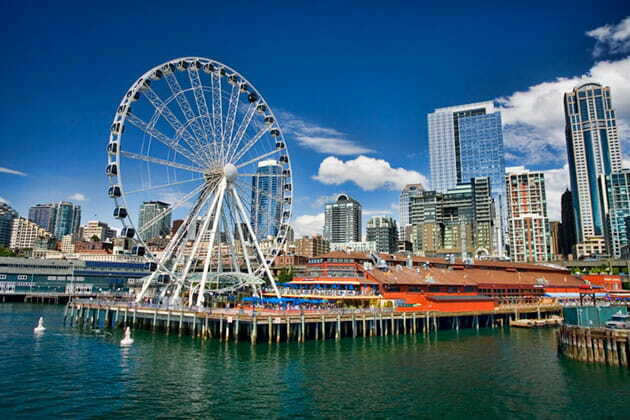 If you enjoy spending time in nature and exploring a big city, Seattle might be just right for you. It has museums, parks, bookstores, and coffee shops, and it is close to national parks and other nice outdoor spaces. 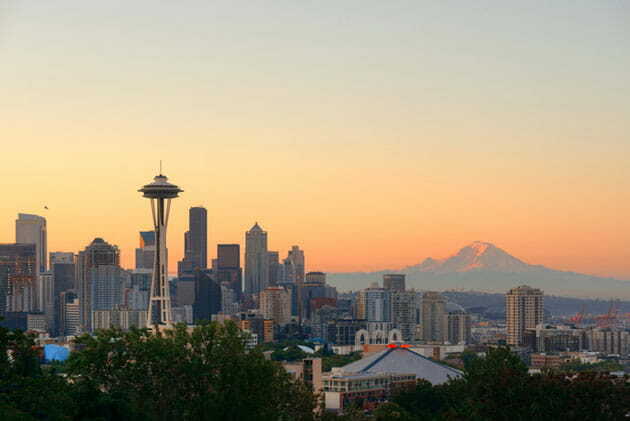 Seattle was awarded sixth place in the country for public transit. All four major wireless carriers have good coverage throughout the city. Seattle earned the top spot in the country for cultural attractions and recreational venues with one for every 364 residents. Seattle is an excellent city for wandering through bookstores and relaxing in coffee shops, but if you want to get out and explore, this is what we’d suggest going to see. Check out one of the most famous local markets in the country while listening to live music, eating fresh seafood, and visiting unique shops. There are plenty of art and history museums in Seattle that would be interesting to visit, but the Museum of Pop Culture is something you won’t find in many other places. It has exhibits about classic TV shows, famous musicians, science fiction, and more. If you’re looking for a beautiful place to walk around and enjoy nature without driving to a national park or going on a hike, visit the arboretum to walk through the 230 acres of beautiful scenery. You can visit most parts of the arboretum for free, but you’ll need to pay an entrance fee if you’d like to visit the Japanese Garden. Seattle can get rainy in the spring and snowy in the fall. It is a great place to visit in the summer since it isn’t too hot and there is a little less rain than other times of the year. Arriving in an unfamiliar place at night when it is dark can leave you more vulnerable and make it harder to navigate. When possible, arrange your schedule so you can arrive while it is still light out. Stay in touch with a friend or family member throughout your trip. Let them know where you’ll be and plan regular times to check in so they know you’re safe. You’ll be safer in public places where you can easily move around. This is especially important at night. While there’s nothing wrong with traveling alone, it isn’t wise to draw attention to the fact that you’re by yourself or that you’re unfamiliar with the area. If you need to look at a map to get your bearings, find a local café, library, or park to stop in instead of standing on the sidewalk trying to figure out where you are. You don’t have to completely abstain from alcoholic beverages, but alcohol can impair your judgement and make you clumsier, so know your limits and stay well below them when you’re out by yourself. Take photos or make copies of your IDs so that you’ll always have a backup if something gets lost. We suggest uploading photos of your IDs to a secure cloud storage service like Dropbox, but it may also be wise to print out hard copies as backups. The right supplies can make traveling alone safer and easier. We suggest bringing the following items. Fabric luggage can be more flexible, but it is easier to cut open and it isn’t waterproof. 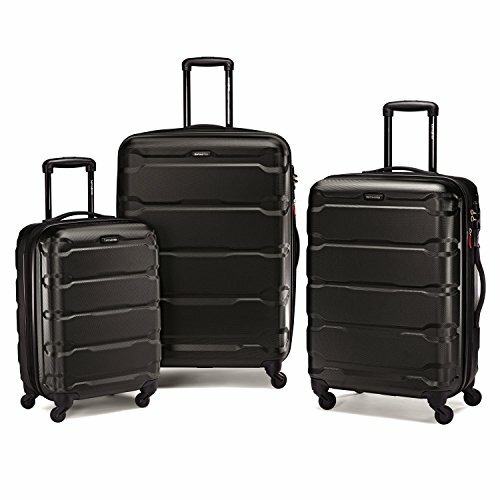 We recommend investing in more secure luggage like this Samsonite 3-piece luggage set. 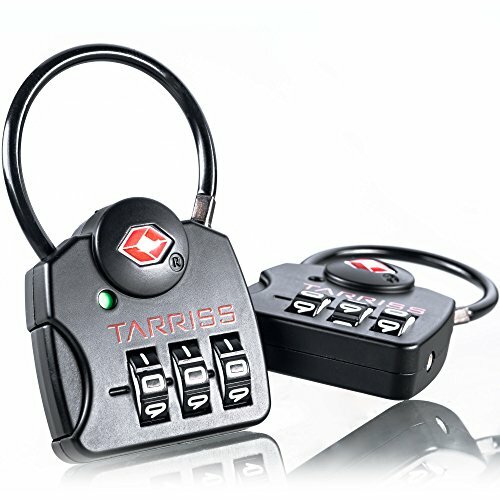 A TSA-approved luggage lock can help you keep your personal possessions secure. These luggage locks are relatively inexpensive and give you extra protection. I rely on my phone for quite a bit when I travel. It is my camera, GPS, city guide, and more. 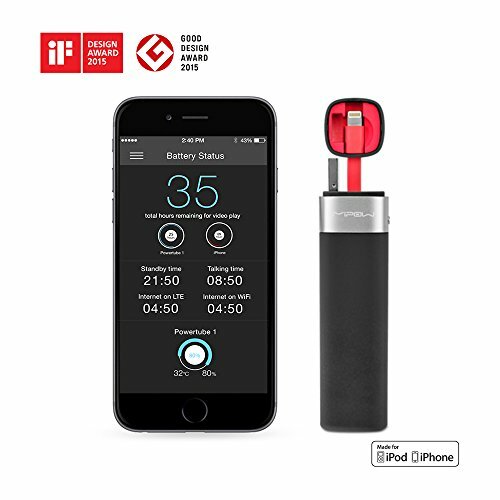 While I don’t recommend being completely dependent on your smartphone, I do suggest bringing a portable charger so you can use your phone as much as you need to. I have an iPhone, so I carry the Mipow Power Tube 3000. 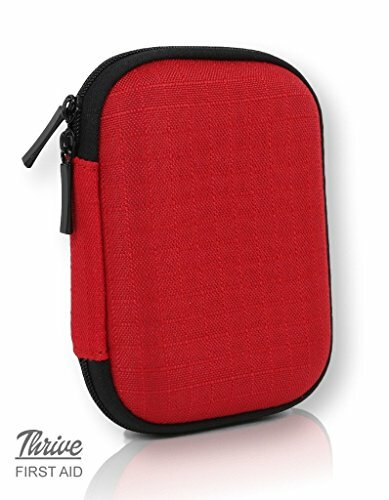 I like it because it is small enough to fit in a pocket and because I don’t need to bring any extra cables to use it. If you’re an Android user, or if you don’t mind carrying something slightly larger, I’d recommend the AmazonBasics Power Bank. It has a 16,100 mAh capacity, which should be enough to charge most smartphones one or two times. Since it has built-in USB ports, you can use it to charge almost any smartphone or tablet (iOS, Android, or Windows) as long as you use it with a certified cable. We suggest keeping the items you carry while you’re out sightseeing to a minimum, but in most cases, you’ll need something to carry a few essential items. Invest in a secure bag to protect your personal possessions. 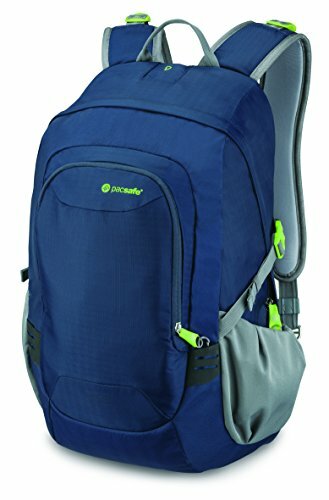 Check out our previous article on the best travel bags for help finding a good backpack, purse, cross-body bag or small waist pack (view on Amazon). While it isn’t practical to carry a full-sized first-aid kit with you wherever you go, a few first-aid items can be very useful. I suggest carrying at least a few Band-aids, disinfectant wipes, and any essential medication. If you have room, consider getting a mini first-aid kit to keep with you while you’re out and about. It can sometimes be difficult to find water while you’re out exploring a new place. Take a water bottle with you whenever you head out so you can stay hydrated. 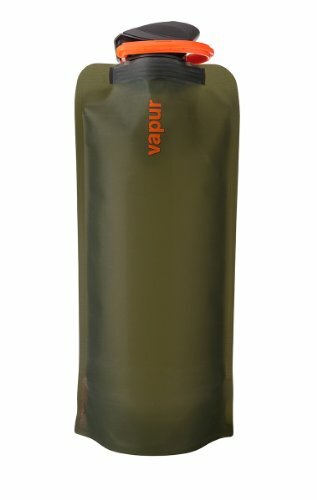 I like the Vapur Eclipse water bottle because it is collapsible, which means I can easily stash it in my purse when I finish drinking. It also has a carabiner on the lid, so it can easily be hooked to a belt loop. Do you like traveling alone? We’d love to hear about your adventures. Share your tips for staying safe in the comments below.